IN the early seconds of the second round, Charles Shininima delivered a heavy knockout punch to Mendu Kaangudue to win the vacant converted title of Namibian Junior Middleweight title at the MTC Nestor Tobias Sunshine boxing tournament. At the crowded A Shipena Secondary School Hall, Shininima dominated right from the start of the match, putting further misery on Kaangundue who went down for the count of eight at the first round. In the second round, Shininima was determine to finish the job by putting Kaangundue down in 1 minute 59 seconds into the second round, crowning him the ultimate winner. After the match, Shininima thanked his trainer and promoters as he felt that he came into the match well-prepared for a battle. “I am really happy that I won because I was well-prepared and we (training support) made sure that I was able to overpower him. This title means a lot to me and I am really proud to be a national champion,” he explained. Kaangudue now stands at a record fight of six wins and four defeats, while Shininima’s victory is the eight in a row. 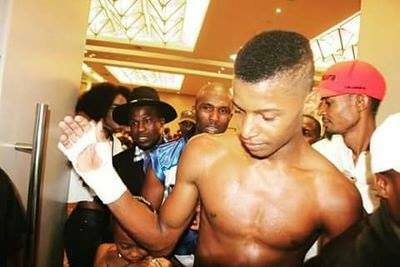 Also, in another bout, Harry Simon Junior added to his impressive CV of eight wins in a row after knocking out Dominicus Weyulu in the fourth round via KO to win the junior welterweight title championship. In the bantamweight division, Andreas Mwenyo won against Immanuel Shapaka on points over a four round bout, while Paulus Amavila beat Sakaria Sheehama on points. 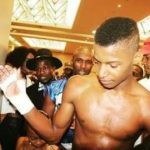 In another fight, Mateus Heita beat Theofelus Nashilongo over four rounds.